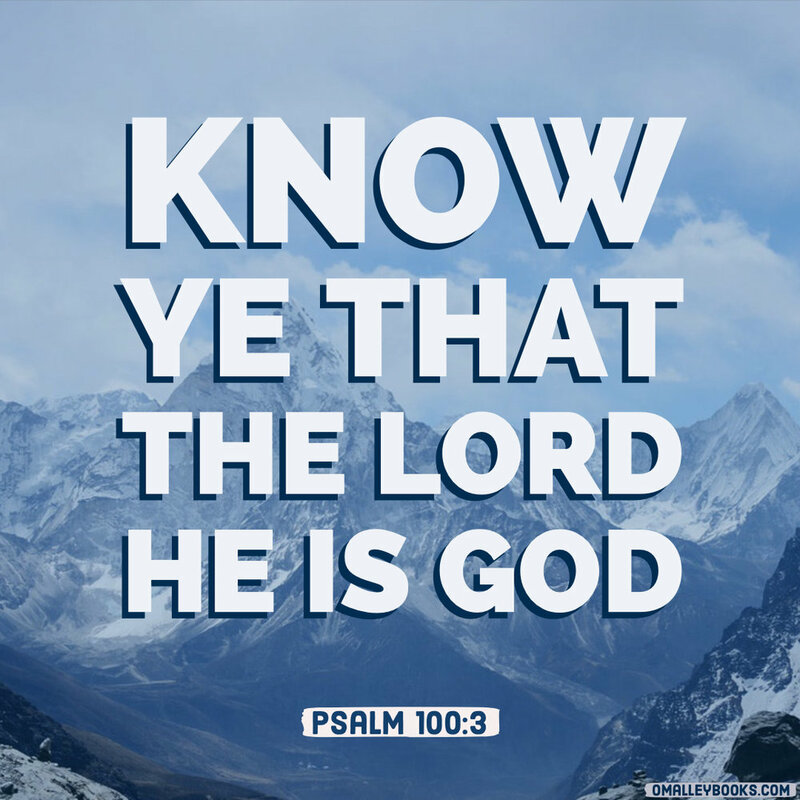 “Know ye that the Lord he is God…” (Psalms 100:3). Advertisers spend millions trying to get us to know their product name and its benefits. They bombard our lives in print, radio, and television. When we might forget the name and benefit of their product, advertisers erect billboards. Even if we do not see the billboards, advertisers produce bumper stickers. All of their efforts are to help us remember their product and how it will change our lives. The psalmist, in our focus verse today, puts up a billboard on the highways of the followers of Christ. The psalmist speaks of something every one must know. He is not speaking of knowing the name of another product. He is speaking of knowing something in the spiritual realm. The psalmist says, “Know ye that the Lord he is God.” We should know He is God when difficulties arise that shake the very structure of our lives. We should remember He is God when we become overwhelmed. We should know He is God when in the midst of distress. Simply, we should know He is God. Remind yourself. He is God. Not, He was God. The God of all Creation is your God. What should you fear? Yet life is filled with fears. Our tragedies and challenges seem to cast a shadow on our confidence. We easily lose sight of God. Our view of our distresses may be shortsighted. We can only see a short portion of our journey. However, God sees the entire path of our life. He knows what is beyond us. He sees the beauty when we see the ashes. He sees the hope when we see our hurt. He sees what is best when we see what is worst. Dear reader, it is time to notice the billboards God erects on the path of our lives. This verse is like a highway sign. God’s highway sign reads: “Know ye that the Lord he is God…” I read this and know I am never alone. God is never without specific and keen awareness of my situation. Have you considered that Creation is a billboard to remind us He is God? Calvary is a billboard to remind us He is God. His compassion is a billboard to remind us He is God.